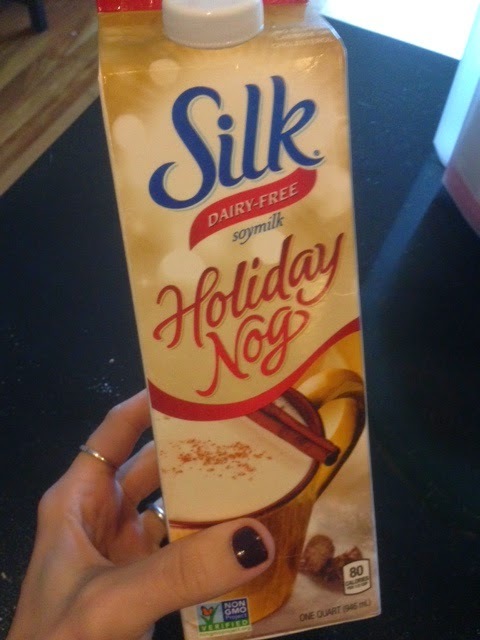 I love cookies and eggnog- but together?! Even better! Mix the dry ingredients and set aside. 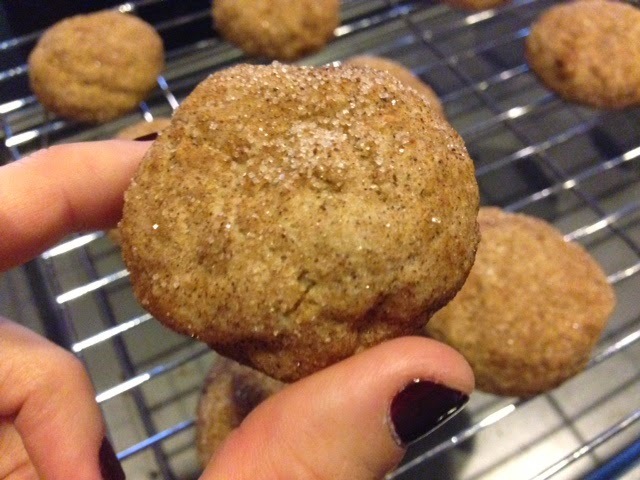 Melt butter and pour in egg nog, vanilla, and sugars. 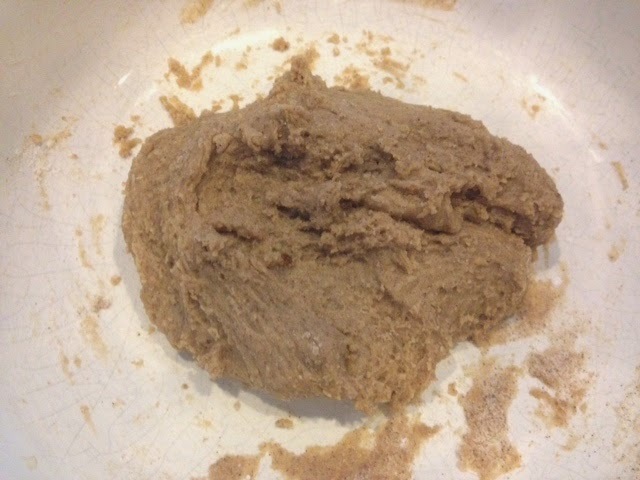 Combine with the dry ingredients until a dough forms. 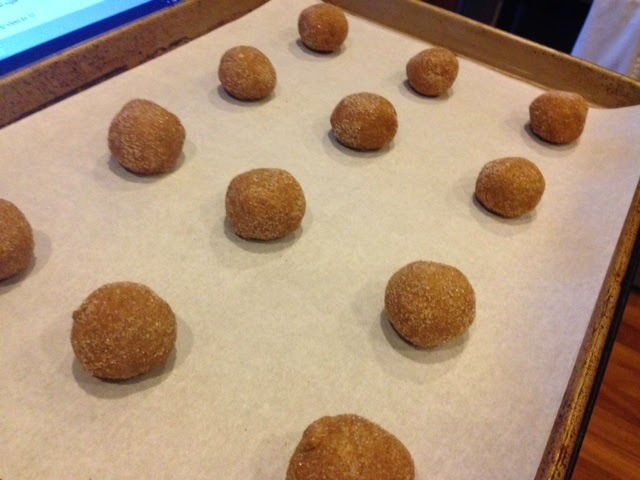 Chill dough for 10 minutes then roll into 12 balls. 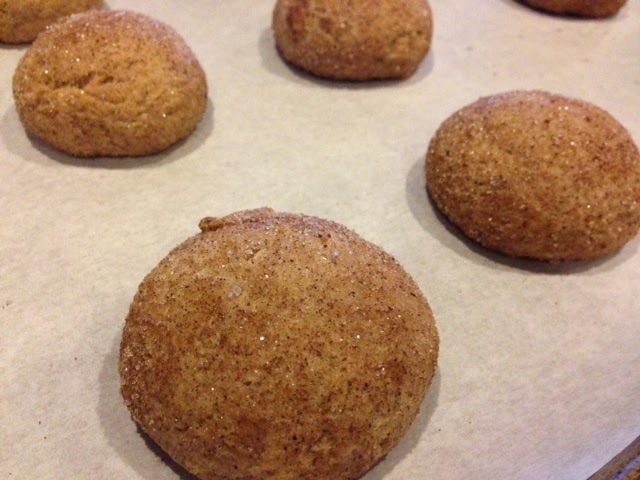 Roll balls twice in the cinnamon coating, and place on parchment paper about 3 inches apart. Bake for 15 minutes and allow to cool completely.